Contemporary public relations has appropriated the classic cultural art form of rich storytelling, and with good reason. No one can resist a good story. Why do we click on a catchy headline or keep reading past the lead? Because we’ve been drawn in. PR professionals know that in the “attention economy” where consumer engagement is elusive, the most effective way to connect with an audience may be to tell your story. The best marketers know how to shape narratives that have an emotional hook or tie to consumer values. Or, at the very least, are funny, like this video from career blog Snagajob. 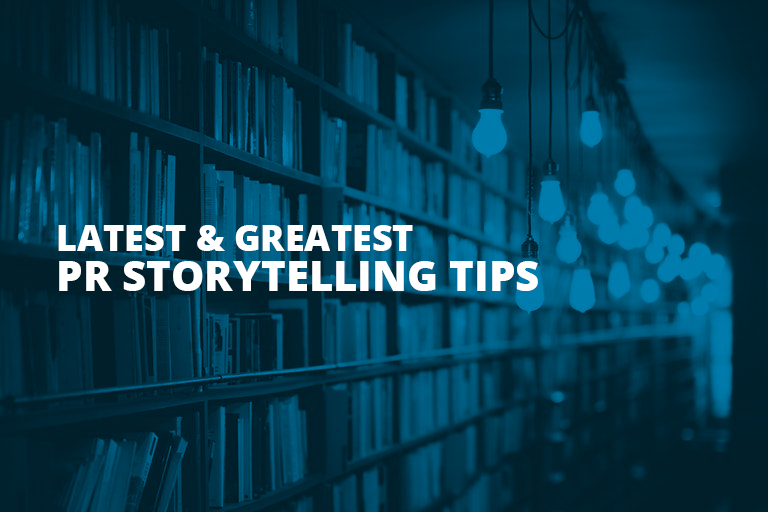 Most “marketing geniuses” are strong storytellers. For the founders of Bomba, the hot high-end sock company, the attention-grabber isn’t about design or tech (though the socks win here as well), but about a pair of friends who recognized a social ill and set about fixing it. Socks are the most requested item in homeless shelters, and that is where Bomba founders began. By building altruism – the “buy-one-give-one” philosophy – into its business model, Bomba has sold 900,000 pairs of socks and, of course, donated as many in the process. Sales reached $4.6 million last year and are expected to hit $7.4 million in 2017. The founding friends still visit shelters regularly as part of the company’s mission. Perhaps your company’s tale isn’t quite so unusual or moving. Most aren’t, but it doesn’t matter. There are always ways to unearth and craft stories that will interest and even inspire. “David and Goliath” – Dollar Shave Club takes on Big Razor. Rebirth or renewal – Polaroid has an app? Yes, they do! The classic quest – Dyson is a great example, because it’s on a mission to improve life with innovative products. Transformation – Witness banks and financial institutions targeting Boomers for retirement. Rags to riches – Entrepreneurs like John Paul DeJoria (JohnPaul Mitchell hair products), who once lived in his car. Tragedy – Tech safety wearable Revolar, created after the founder’s sister was assaulted. Comedy – Some brands play it for laughs, like auto insurance companies that use familiar situations to take the sting out of what can be scary or preachy. Learn from the masters. Not everyone is a natural storyteller. But there are plenty of people writing, blogging and podcasting about how to learn. A good place to start is American Public Media’s “The Moth” – true stories told live. These are raw personal narratives that can help anyone understand the the story construct. The Moth website even features its own storytelling tips to help you get started. While you may not have the occasion to spin such a deep or personal yarn, knowing the basics will help you shape even the driest material into something more interesting in the telling. Inspiration can come from many sources – an actor who gave a spellbinding performance, a great biographer who brilliantly captured the life of a business leader, or the poignant podcast about missing fitness guru Richard Simmons. Get to know your audience. It’s not enough to know who a company’s target audience is demographically; you need to know what they listen to, read and enjoy. Understanding audience traits will help any marketer tell a more resonant story and create a relationship with long-term value. You can make some assumptions about a target audience – Netflix tapping into millennials, for example – but robust research will help define your true targets. Once a brand has done some research through surveys, existing analytics and other tools, it’s helpful to develop an audience profile that includes all the data points your target has in common. Audience profiles help PR teams map communications strategies to ensure the most relevant messages. Consider all storytelling channels. It pays to become more deeply familiar with different storytelling platforms, and some may surprise you. Zingerman’s Deli in Ann Arbor, Michigan, a popular, but still under-the-radar purveyor of food delicacies, relies heavily on its direct-mail catalog, which may cause some to roll their eyes. But the catalog is a storybook as well as a compendium of product information. Although die-hards make pilgrimages to the one location, and most order online, the familiarity often begins with the catalog, which food bloggers have likened to artwork. Conversely, we just wrote about the power of Snapchat for telling stories, and its power is increasing – the latest research shows the social network’s audience is expanding past the very young. The most successful programs will likely include a number of platforms including earned media, bylined pieces, and social, combining to tell a version of the same story. The origin story isn’t the only story. If you don’t have a fascinating origin narrative, please don’t make one up. Familiar with the great Mast Brothers chocolate “bean to bar” controversy? It seems the trendy chocolatiers have been mislabeling their wares for years, using remelted, mass-produced chocolate in place of cocoa beans mostly sourced (as they claimed) from Venezuela, Ecuador, Dominican Republic and Madagascar. With terrific reporters like those from Quartz who peeled back the wrapper on Mast Brothers, embellishing or outright lying about a company or product “origin story” will likely end badly. And once you’ve lost customer trust, it’s very hard to gain it back. If the story of your product’s “birth” isn’t as cool as Bomba socks or others, lead with something else. Or think about your customers’ stories; has your product helped a struggling small business owner? A new mom under stress? A maverick millennial? Use data to tell your story. Data runs the world; we just live in it. And to be successful in the data-driven world, the savvy PR strategist finds tangible insights and develops great stories. With our data-driven programs, we’re looking for the expected info that will support a conclusion. But most importantly, we want an element of the unexpected. For media relations, surprising findings make the most compelling stories. In this recent interview with Melinda Gates which focuses on her appreciation of data, the surprising stats about polio eradication (only 37 cases were reported worldwide last year) helps put into context the rest of the story Gates tells about the Foundation and its work. Connect emotionally. Stories that tap into our emotions are the ones we enjoy hearing (and reading) and the ones we remember. Work to connect with your audience on an emotional level, be it through entertainment, achievement, nostalgia or something else and they will remember your story and your brand. Branded content provider Brainjolt has proven how successful heart-tugging tales can be with their popular series Happiness Heroes. Try to watch one without choking up (or chuckling) and passing it along. Bonus tip: Look to your team for “day-in-the-life” tales, memories, anecdotes and even photos of “early days.” Every picture tells a story and your business can too.